It’s time for the Gasworks Fire! Pop-Up Choir! 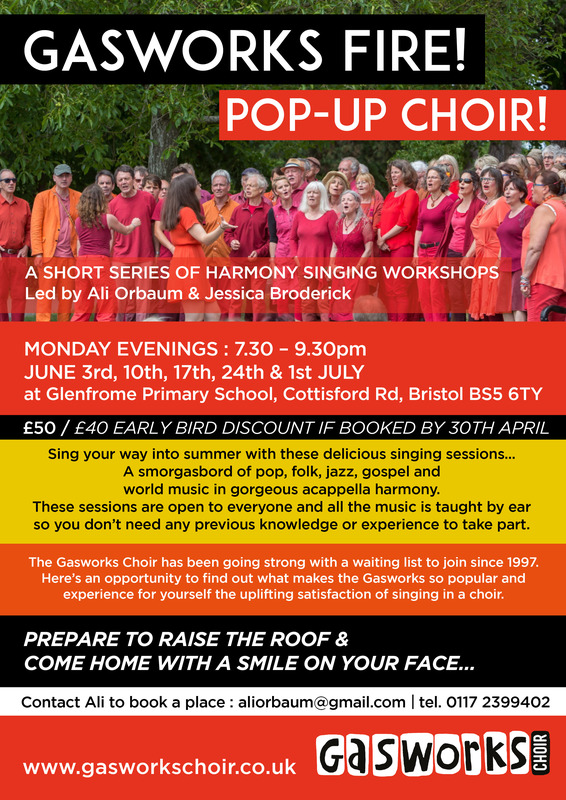 Have you always wanted to try singing in a choir without the pressure of a concert? Love singing and meeting new people? Well Gasworks Fire! Pop-Up Choir! is for you! Open to everyone. No homework, no concert, just great songs and the joy of singing them. Our short series of summer workshops begins on Monday 3rd June for 5 weeks at Glenfrome Primary School and the early bird offer is available until the end of the month. Email aliorbaum@gmail.com to book your place NOW!